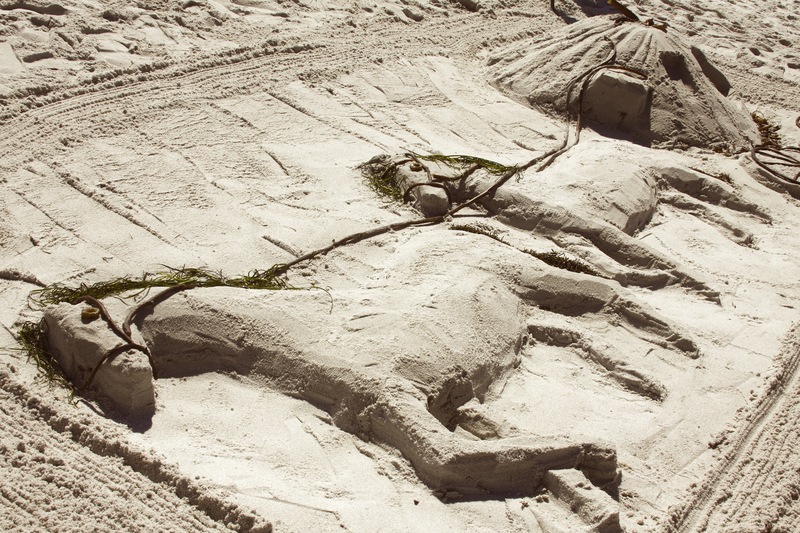 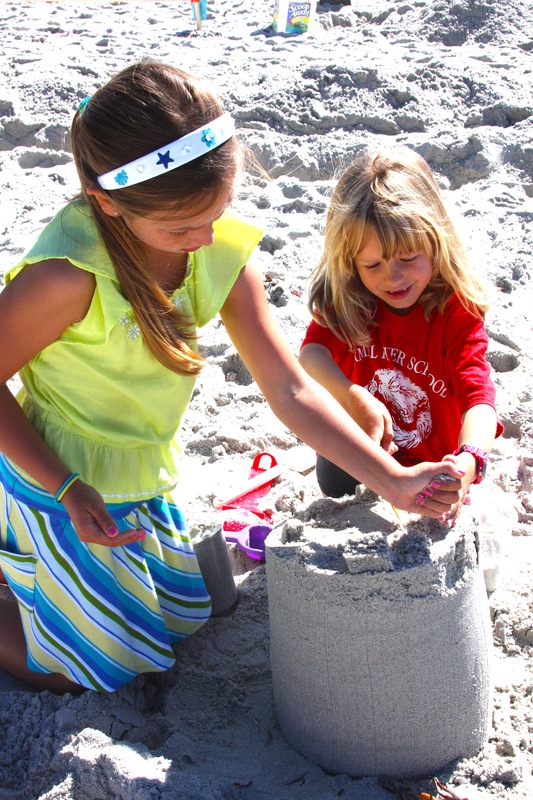 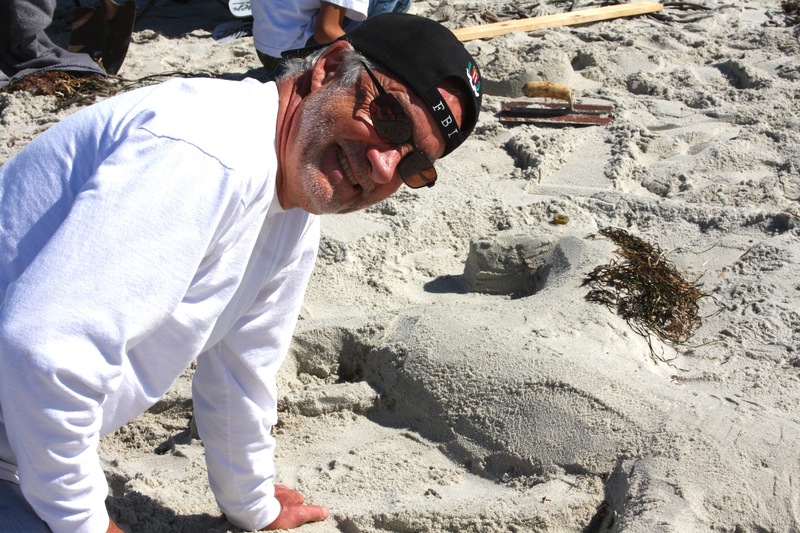 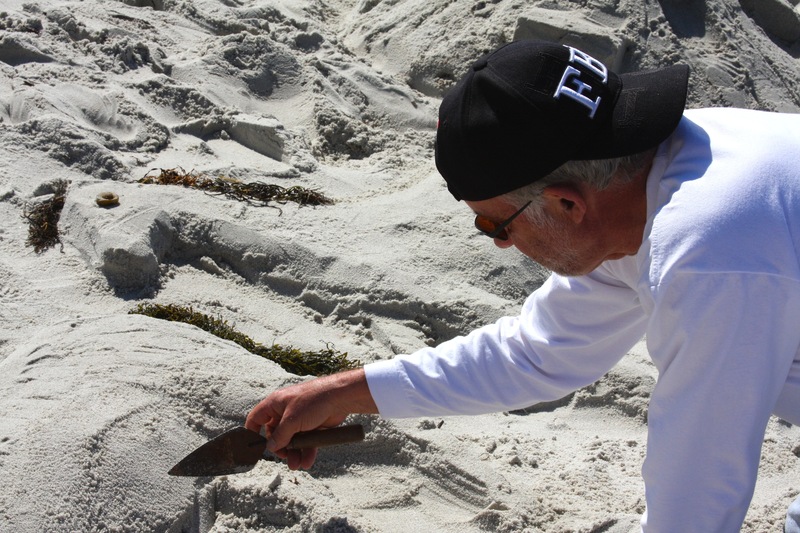 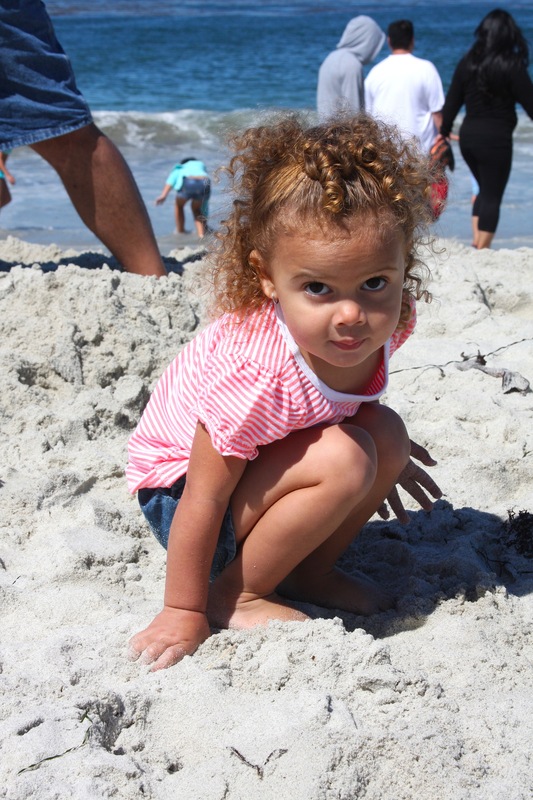 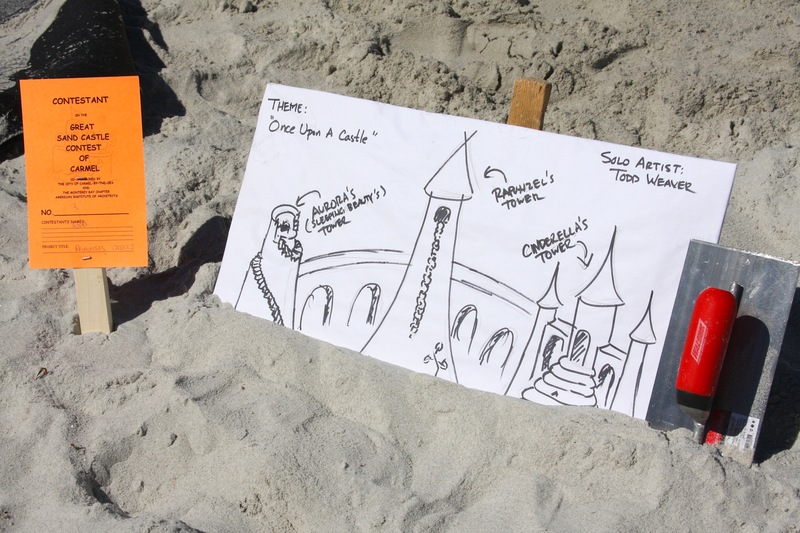 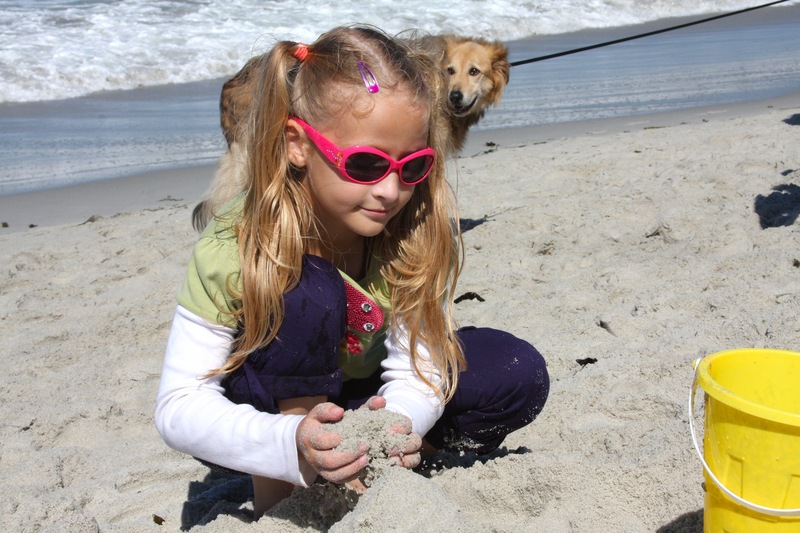 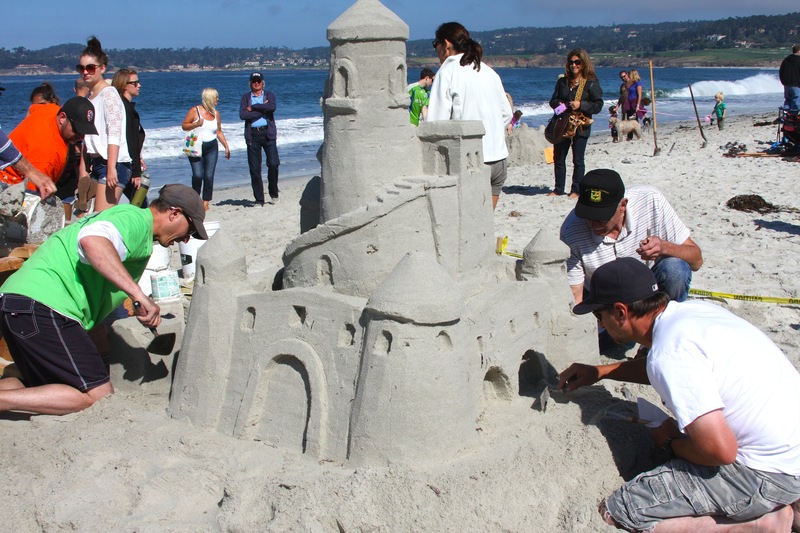 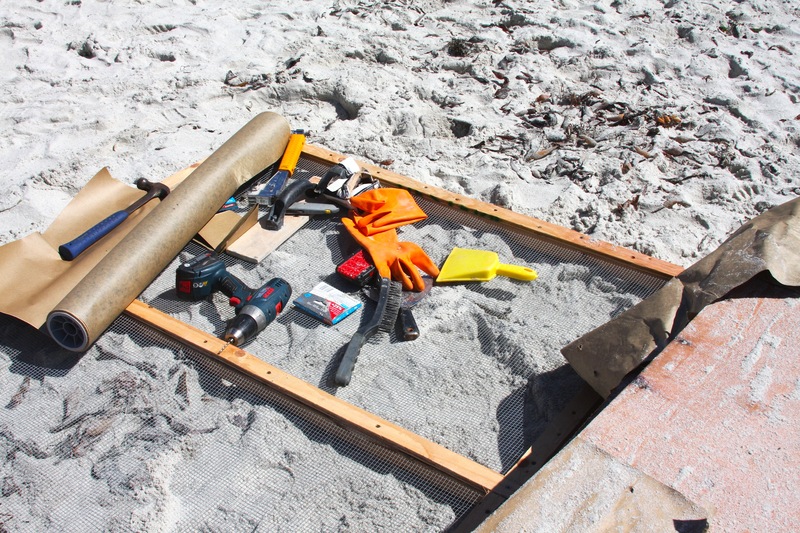 “Once Upon a Castle,” the historic sandcastle competition, drew crowds to Carmel Beach, as competitors carved, sprayed, raked and formed their masterpieces vying for the coveted “Golden Shovel” award. 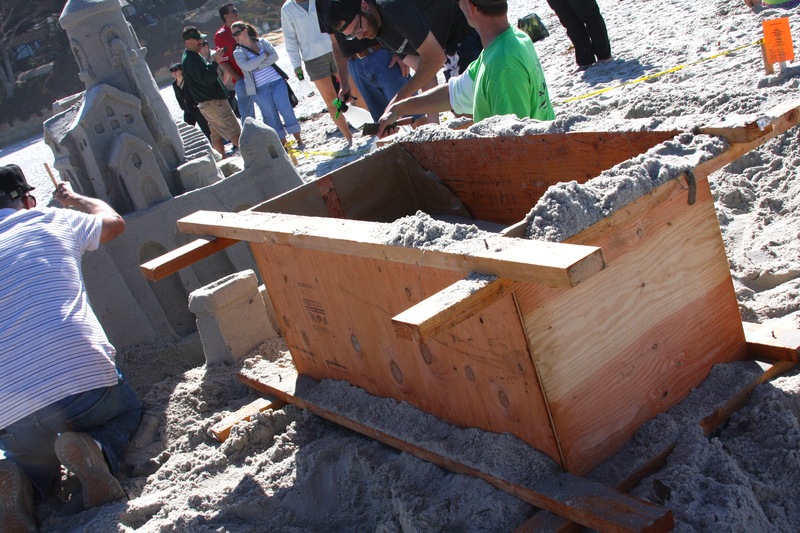 Sand artists started as early as 6am, trenching out the sand, carrying buckets of sea water to their sites, forming their bases with massive wooden forms while following the details of their artist’s sketches, complete with rakes, screens, wood carving tools, black tar paper and tape. 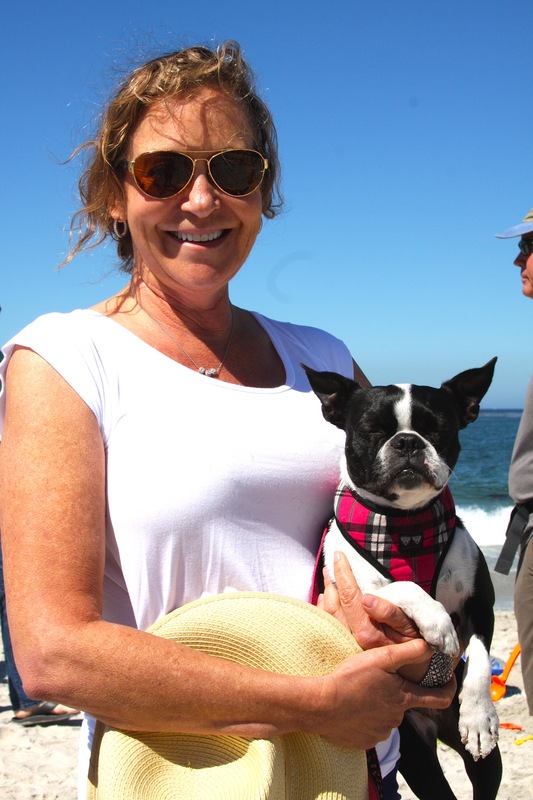 Judges tents offered pastries and coffee as spectators brought their dogs, watched their children play in the surf, while kites flew overhead, and camera phones clicked everywhere. 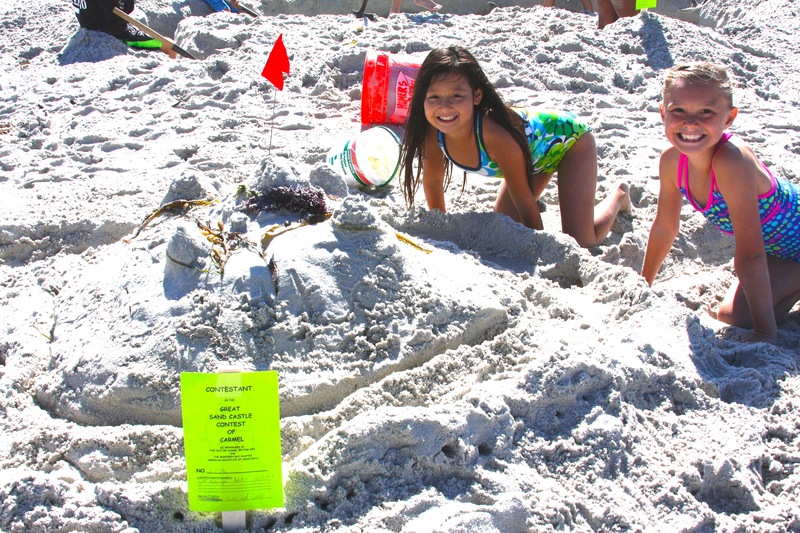 The anticipation accelerated as mounds of sand gradually took form, producing fabulous masterpieces hurrying to be ready for judging at noon. 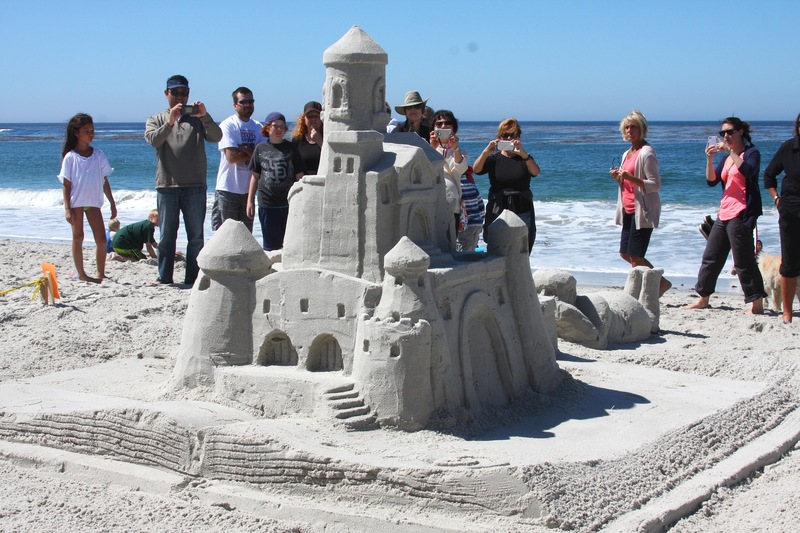 The “Golden Shovel” award went to the Mehringer Family of Monterey with the five foot high sandcastle, while the “Judges Favorite” award went to David Bindel who sculpted out two horses pulling a pumpkin coach. 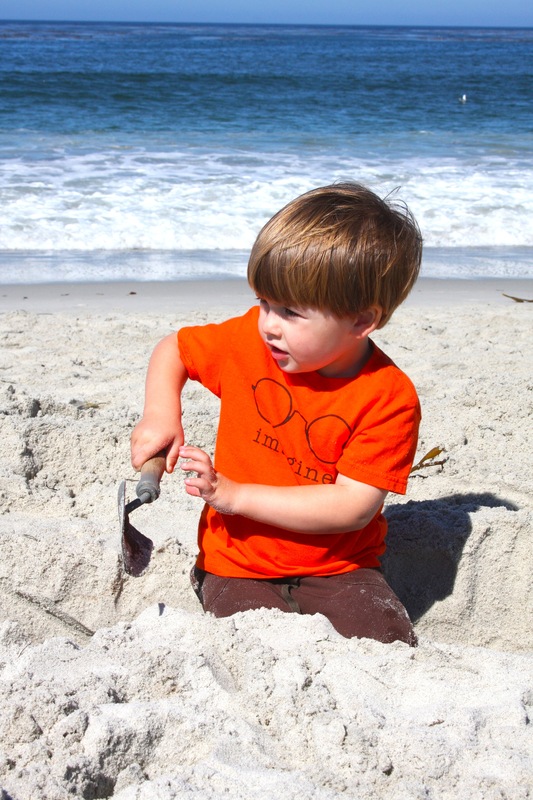 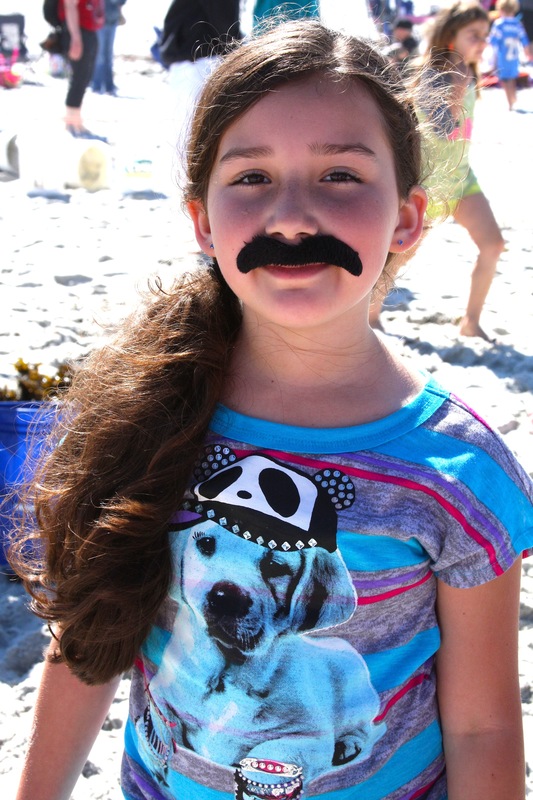 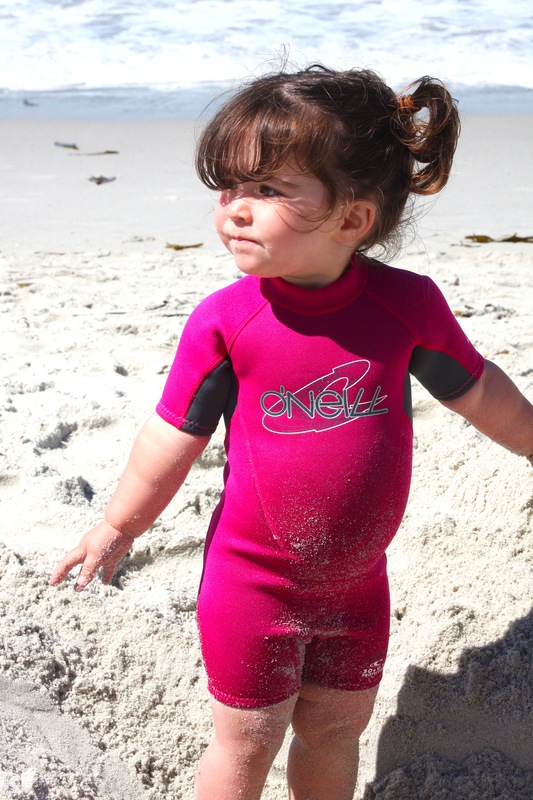 And all the kids who came out to build sandcastles of their own . 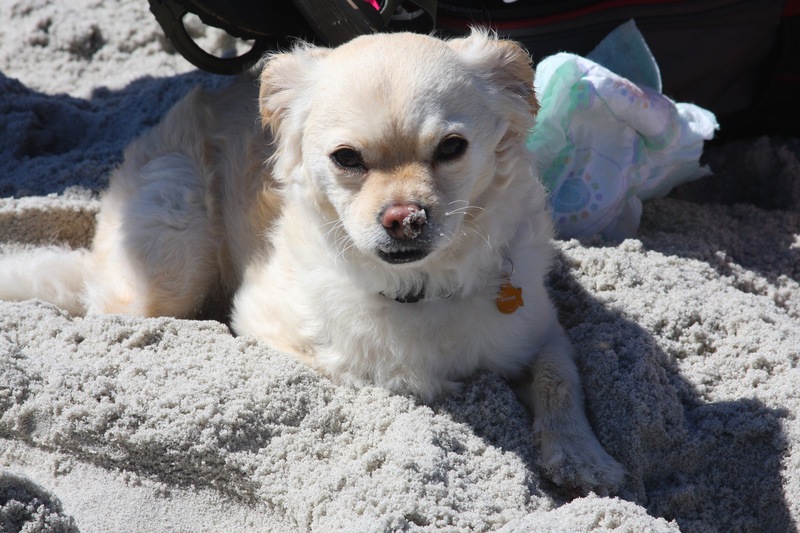 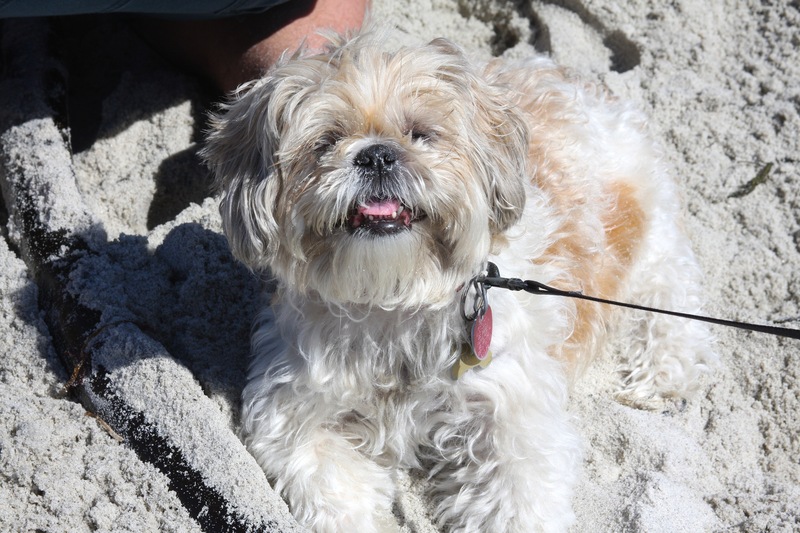 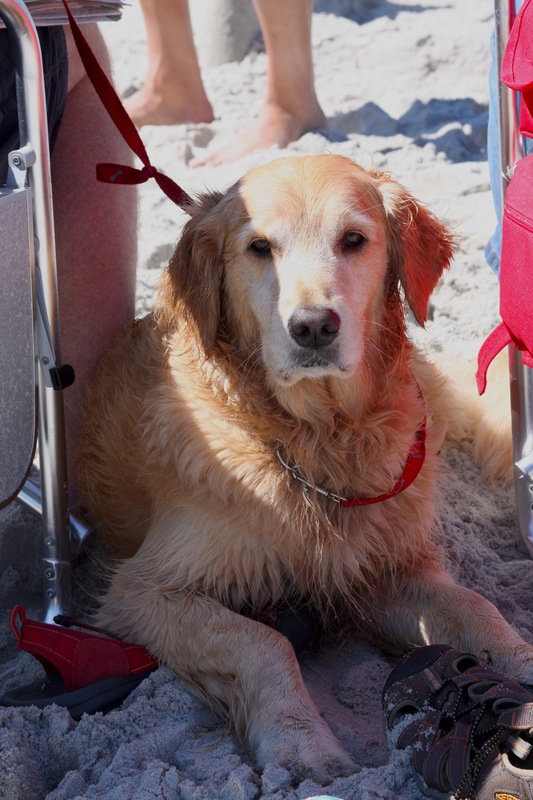 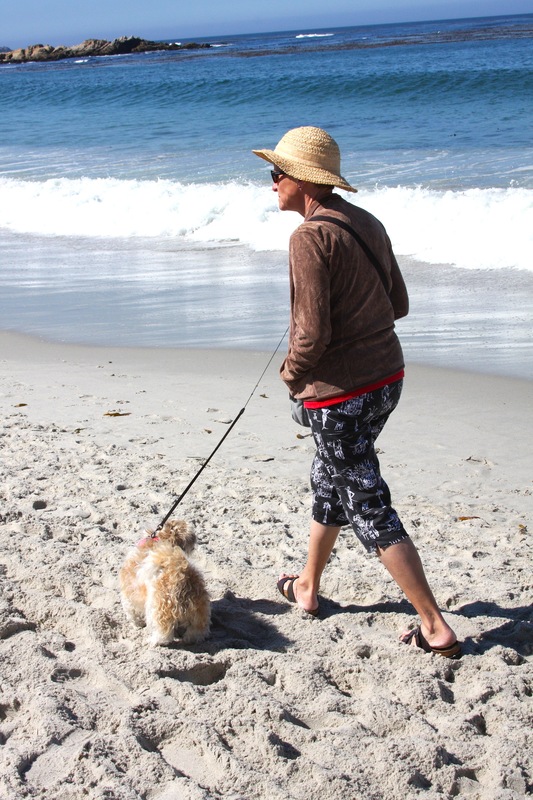 . .
And our furry friends with sand on their noses . . .